Panasonic's awesome TH-65PX600U is our first plasma TV with 1080p picture resolution (1920 x 1080 pixels)  in fact, it's the largest 1080p plasma available. 1080p provides about twice the pixel count of typical plasma screens, so you'll see lots more detail and depth. If you're looking for a flat-panel TV that delivers the full visual impact of high-definition sources, this is the set for you. On a screen this big, distortion, noise, and picture artifacts have no place to hide. Panasonic's 9th-generation plasma panel technology eliminates several shortcomings of lesser plasmas. For example, the TH-65PX600U can reproduce up to 29 billion colors in total, with over 4,000 shades of gradation. Images look seamlessly smooth and filmlike, with beautifully natural skin tones and an effortless sense of three-dimensionality. This "Digital Cable Ready" TV has built-in tuners for over-the-air and cable digital TV. To make full use of the set's cable tuner, ask your local service provider about a CableCARD. This "smart card" goes in the dedicated slot in the TV's back panel and replaces your set-top cable box. Using a CableCARD will simplify your hookup and operation and usually provides a slightly clearer picture. The TH-65PX600U's built-in TV Guide On Screen program guide provides listings for over-the-air and cable TV signals in your area. The TH-65PX600U has an unusually versatile array of connections that emphasizes HD-capable inputs. You get three HDMI digital inputs for HD satellite receivers and other top-quality video components. All three HDMI inputs even accept 1080p signals, like those available from Panasonic's Blu-ray Disc player. A dedicated PC input lets you surf the web on this TV's enormous 65" screen. And the built-in SD memory card slot is a nice touch  just insert the memory card from a compatible digital camera and share your pictures with a roomful of family and friends. Learn about the ins and outs of HDMI connections at CrutchfieldAdvisor.com. Tip: To find out if HDTV signals are available in your area, visit this helpful site and punch in your zip code. Large Item Special Shipping: This item will be delivered and placed in any accessible room in your home. Available to physical addresses in 50 United States only. Limited delivery available to Alaska and Hawaii for $99 per item  call 1-888-955-6000 for more details. Sorry, we can't ship to P.O. Boxes or freight forwarders. Delivery takes 5-7 business days once your order has been processed. Extra charges may apply to items that must be carried up more than 5 flights of stairs. 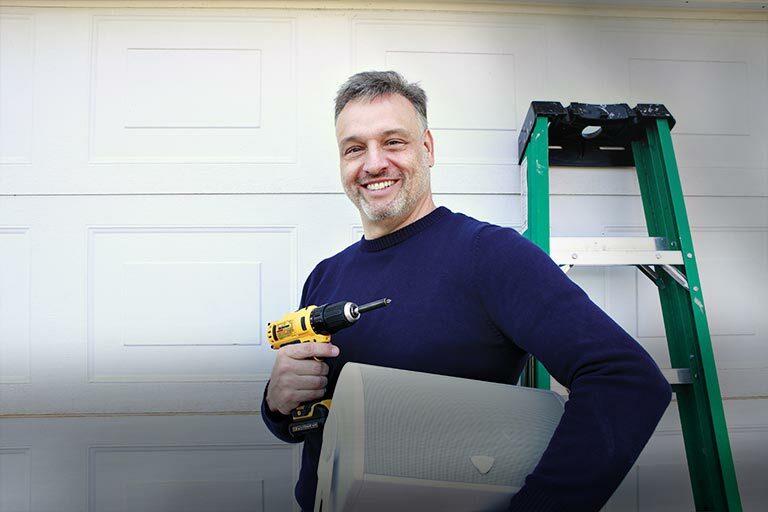 Allow extra time for delivery to remote addresses. Free return shipping not available with this model. Contact your local cable TV provider for details regarding the availability and costs of CableCARD-related services. 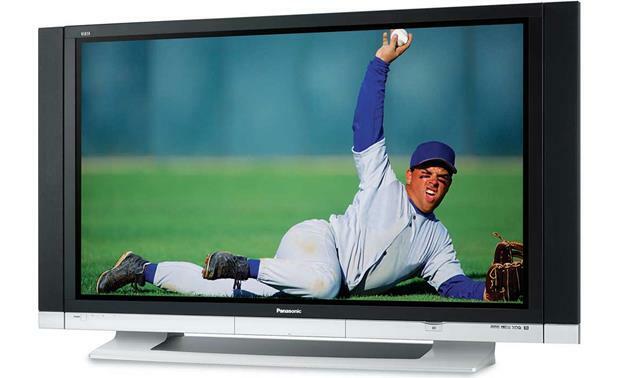 Plasma Panel: The Panasonic TH-65PX600U features a 9th generation Plasma Panel with a 5000:1 contrast ratio and a horizontal/vertical viewing angle of 160-degrees. Optional Speakers: The Plasma TV does not come with speakers, but optional detachable speakers (Crutchfield item number 133SP65P60) are available. Each side speaker panel includes three 80mm round drivers. The TV's audio amplifier is rated at 15 watts x 2 channel at 10% THD. 29 Billion Colors: From deep blacks providing excellent shadow detail to vibrant colors rendering brilliantly bright scenes, the TH-65PX600U displays an incredible 29 billion colors. 4,096 Shades of Gradation: Plasma displays can suffer from an artifact called false contouring, where transitions between different shades of the same color are too sharp. These transitions can appear as distinct lines between the different shades of color. Having 4,096 shades of gradation helps minimize the false contouring artifact so color transitions take on a smooth, natural appearance. 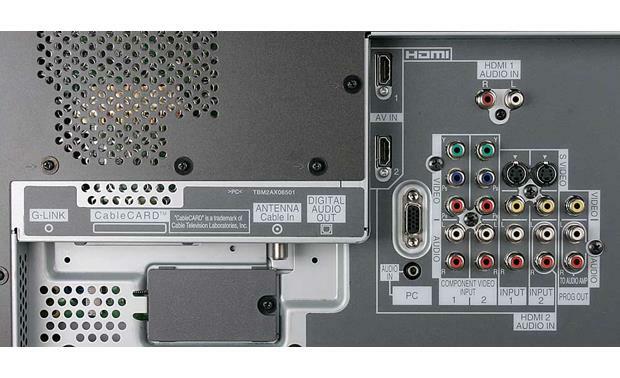 CableCARD Slot: This TV has a back panel CableCARD slot that allows digital cable reception without a set-top box. CableCARDs will be available from your local cable provider. HDTV (ATSC) Tuner: With the built-in over-the-air HDTV (ATSC) tuner you don't have to purchase a separate digital set-top box to receive and decode over-the-air HDTV/SDTV signals. Native Resolution: The TH-65PX600U has a display resolution of 1920 x 1080. All incoming signals are converted to this native resolution. The HDMI digital and component video inputs will accept 1080i, 720p, 480p, and 480i, and will display them as 1920 x 1080. The HDMI inputs will also accept a 1080p signal and convert it to 1920 x 1080. Progressive Scan Doubler: The progressive scan doubler displays a full frame of video in 1/60th of a second by de-interlacing the incoming interlaced video signal and progressively scanning the image. This scan doubler also provides even more image enhancement by improving the quality of diagonal lines in a moving picture. Zoom Adjust: You can adjust vertical size and image position when using the zoom mode. Picture Adjustment: Several picture settings can be individually adjusted, including Picture (white areas), Brightness (dark areas), Color, Tint, Sharpness, and Color Temperature. Color Purity Management: When turned on, color management enhances green and blue color reproduction. This is especially useful for outdoor scenes. Contrast Automatic Tracking System (CATS): CATS adjusts the brightness and gradation to optimize contrast. Video NR: Video Noise Reduction removes snow from a weaker analog TV signal. MPEG NR: MPEG Noise Reduction reduces noise specific to digital signals. 3D-Y/C Digital Comb Filter: This filter minimizes noise and cross-color in the picture when the composite video input is used. HD Size: This mode selects between 97% or 100% for the scanning area of the HDTV. Split Screen: The TV features Split-Screen which allows you to watch video from two different inputs. The Split-Screen feature is not available when using HDMI, PC and SD Card viewing modes as a source and you cannot view two RF sources simultaneously either. Audio is only available from the main picture only. This is handy if you are watching a movie and want to check out what's on TV. BBE High-Definition Sound: BBE High-Definition Sound restores clarity and presence for better speech intelligibility and musical realism. BBE ViVA 3D: BBE ViVA High Definition 3D Sound provides a musically accurate natural 3D image with hi-fi sound. The clarity of the sound is improved by BBE while the width, depth and height of the sound image are expanded by BBE's proprietary 3D sound processing. BBE ViVA is compatible with any TV program; including news, music, dramas, movies, sports, and electronic games. Surround Function: The surround function enhances audio response when listening to stereo programming. This function is active only for the TV's optional speakers. Audio Leveler: The Audio Leveler monitors the difference in audio levels between inputs and minimizes the change in volume when you change inputs. This function is active only for the TV's built-in speakers. AI Sound: This audio feature equalizes the overall volume levels across all the channels and external inputs. Sleep Timer: This television features a built-in sleep timer, set by remote control, that turns the TV off automatically after 30, 60, or 90 minutes. Programmable On/Off Timer: The programmable timers allow you to program the TV set to turn itself on and off at designated times, on designated days, tuned to designated channels. Up to 5 events can be programmed using the timers. An event can have multiple episodes (Daily, Mon-Fri, Every Wed, etc). Input Labels: Each input can be labeled to reflect the source connected. The label options are Skip, VCR, DVD, Cable, DBS, PVR, Game, Aux, and (blank). Only Skip and (blank) are available for the PC input. Channel Label: Each programmed channel can be labeled. The name can be up to seven characters. Input Skip: If an input's label is set to skip, that input isn't selected when toggling through inputs with the TV/Video button. Parental Control: This TV incorporates V-Chip technology, allowing you to set a viewing limitation based on the TV and movie ratings. The limitation is customized to specific industry ratings. The control is accessed and protected by the 4-digit password. HDAVI Control: Some new Panasonic source units which have an HDMI output also have the HDAVI Control feature. This further integrates and simplifies the system control using the TV's remote. SD Card Slot: The SD card slot on the front of the TH-65PX600U allows you to view JPEG photos on an SD or miniSD card. An adapter is required to use a miniSD card. You can rotate images and show them individually or as a slide show, with adjustable picture duration. 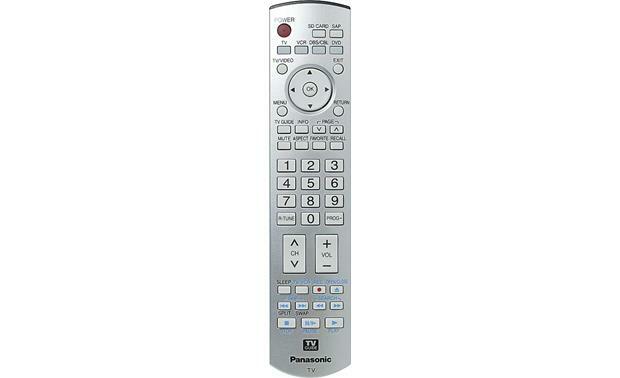 Multibrand Remote: The supplied remote is pre-programmed to operate this unit and a number of functions on other brands of components; including VCRs, DVD players, DVD recorders, personal video recorders (PVR), cable boxes, combination cable box/PVRs, DBS receivers, and combination DBS receiver/PVRs. The OK button and directional keys allow you to move the on-screen selector, making menu navigation simple and efficient. HDMI Inputs: The HDMI 1 input has a dedicated RCA audio input, HDMI 2 uses the RCA audio input of A/V input 2 if needed. The HDMI terminals can accommodate a copy-protected digital connection (HDCP) to other devices (such as digital set-top boxes) that have compatible interfaces. When using an adapter to connect a component with a DVI output, the RCA jacks are used to carry the audio signal. The TV also features a front panel HDMI input. Component Video Inputs: The two component video inputs will accept 1080i, 720p, 480p and 480i input. Digital Audio Out: The rear-panel optical digital output allows you to send a Dolby Digital bit stream to a Dolby Digital receiver or decoder. If the program doesn't include a Dolby Digital soundtrack, a PCM bit stream is output. PC Input: The PC input consists of a stereo mini-jack and an analog RGB (D-Sub 15-pin) jack. This jack allows you to connect a personal computer with a D-Sub 15-pin output. When using the RGB (D-Sub 15-pin) jack, you must use the PC Audio input for your audio connection. G-Link: You can control your VCR using the TV remote. The cable from the G-Link IR blaster plugs into the back of the TV and emits IR commands to control the VCR, both in real time and for time shift recording programmed with TV Guide On Screen. Front Panel Input: A/V input 3 on the front panel includes left and right RCA audio, RCA composite video, and S-video connections. The TV also features a front panel HDMI input. Pedestal: This TV does not include a pedestal stand. The optional Panasonic TY-ST65PV500 stand (Crutchfield item number 133ST65P50) is specifically made for this TV. Wall Mounting: This TV does not come with a wall mount bracket. On the back of the TV there are four threaded inserts to attach a wall mount bracket. The inserts require M8 bolts and the horizontal spacing is 42.313" wide; the vertical height for the top and middle bolt inserts is 2.75" and the vertical height for the middle bolt to bottom bolt insert is 13" making the overall vertical bolt height 15.75". The TV's weight is 174.2 pounds. Panasonic offers the following wall-hanging bracket for this TV - model number: TY-WK65PV7.